Chris Schiller was not ready to give up on lacrosse after his playing career ended. His indoor career with the Rochester Knighthawks resulted in a 2007 title and an induction into the Knighthawks Hall of Fame in 2016. He also played for the United States in two FIL World Indoor Lacrosse Championships before joining the US indoor team’s coaching staff as an assistant. He also spent time with his hometown Rochester Rattlers of Major League Lacrosse before his work life took him down to the Carolinas. He discovered just how much a hotbed of lacrosse the south was. Chris Schiller also saw how the recruiting process for high school players was a mess. 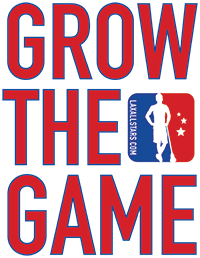 So Chris Schiller set to change the way recruiting was done for the southern lacrosse community. To do that, he founded the Southern Select Lacrosse Showcase. While the idea was easy to come up with, Chris Schiller knew it was not going to be easy to get the showcase to succeed. Despite that saturation, Southern Select is still running strong. While the Southern Select Lacrosse Showcase is going strong, that was not the only idea Chris Schiller had cooking in the lacrosse world. While Schiller described the showcase, behind him a large crowd gathered, examining the NASCAR Hall of Fame in downtown Charlotte. While they enjoyed the exhibits, they were truly there to take in the 2019 MLL Draft as part of a weekend celebrating lacrosse around the Crown Lacrosse Tournament. Schiller had gotten four quality NCAA teams to come to Charlotte for two games in three days. Three of the teams ranked in the top five nationally. 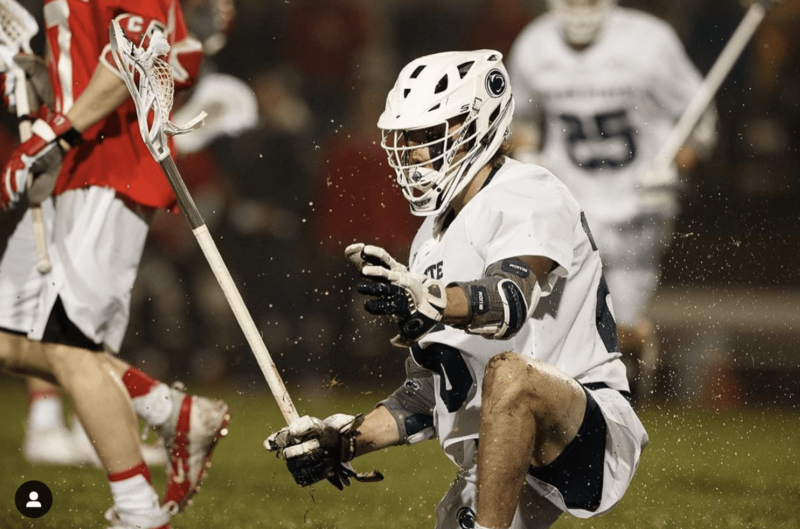 READ MORE: Read about the 2019 Crown Lacrosse Tournament from the perspective of the NCAA coaches who had their teams competing at the event here. The clinics were an added bonus on Saturday morning that Schiller was quick to credit the players for. What started as a one-off tournament blossomed into the Nittany Lions, the Towson Tigers, the Cornell Big Red, and the Jacksonville Dolphins playing two games in three days sandwiched around clinics taught by some of the best players in the world, musical performances by Mike Powell, and the next generation of MLL players being selected. Yet it all started with getting Tambroni and his Nittany Lions locked in followed by Pete Milliman and the Cornell Big Red. For an event held in Charlotte with teams from up and down the eastern seaboard, the Crown had a distinct Western New York flavor — Schiller, Nadelen and Milliman all come from the Rochester area. Chris Schiller hails from Penfield, Nadelen from Henritta and Milliman from Rochester. Tambroni and Galloway are from the Syracuse area, while Tambroni is from Camillus. The geographical proximity of their upbringings had a hand in their connections, and it was these connections Schiller leaned on to get the Crown going. While Schiller talked, the crowd continued to fill the first floor of the Hall of Fame. Fans posed for pictures, chatted with representatives from the MLL, the Hounds, and the Atlanta Blaze, and checked out the exhibits. While big events dominated the weekend, Chris Schiller had an opportunity to grow the game due to a couple of graduates of Penn State who wanted to donate tickets. It went from just handing out free tickets to influencing a special lacrosse program in Charlotte. Not only did the players receive tickets, but they were honored during halftime on Friday with Charlotte Hound and Cornell jerseys. People coming together to make things happen at the Crown was a theme. Schiller was as quick to credit people behind the scenes as the coaches and players that everyone could see. Prior to the Crown, he had the jitters, but he assembled a team of volunteers that made the weekend work. “Two weeks ago, I was a nervous wreck,” Schiller said. “It’s gone. The train’s rolling. We figured out a lot of things behind the scenes yesterday. It is what it is. You don’t need to know what’s going on behind the scenes. I thought the event ran great because of people like Chris Matthew. He’s our ops guy, he did everything yesterday. The volunteers, we had 20-plus volunteers from the lacrosse community come in here and volunteer their time to walk teams out, to deliver food. Anything you can think of. Deliver towels. It takes everybody. Unfortunately for Chris Schiller and the Crown, Friday night’s weather put a damper on the festivities, both figuratively and literally. A near-constant rain coupled with temperatures in the low 40s could have kept everyone away. Schiller even acknowledged he would have stayed, but the fans impressed him. After the final buzzer sounded Sunday, Chris Schiller made his way off the field. The exhaustion was evident. Yet he saw the crowd that had assembled on the final day of the first Crown. Saturday night, ahead of the final day, he took a moment to look back at his journey and see if he ever imagined being in the position to pull off an event like the Crown. As the interview wound down, the discussion naturally turned to the future. What does Schiller have in mind for the Crown? Was it simply a one-off tournament? The addition of a high-level DI women’s game was not lost when looking at the crowd assembled for the MLL Draft. There was a girls’ club team in attendance in their jerseys and excitement was evident on their faces. Adding a women’s game to the Crown is another chance for Chris Schiller and crew to grow the game. Sunday afternoon, Schiller largely got his weather wish. A slight sprinkle to start the event soon gave way to sunshine and warmer temperatures. The crowd was significant and loud. After the final game finished, Schiller slowly walked off the field to join friends and family. The exhaustion was evident. When asked about his final thoughts on the weekend, he simply said to wait for next year. If the weekend is any indication, Schiller is on to something with the Crown in Charlotte, North Carolina.